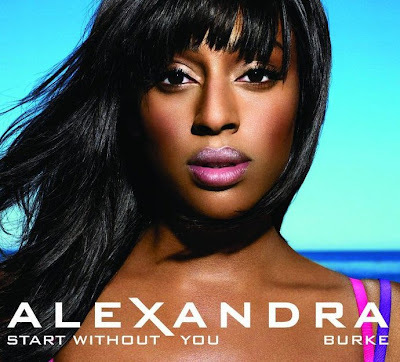 "Start Without You" is due out in the UK on September 6th and features remixes by StoneBridge. "Not Giving Up On Love," the new single from Dutch Trance producer/DJ Armin van Buuren is out now and features a stunning video with the beautiful and talented Sophie Ellis-Bextor. The song is from van Buuren's forthcoming fourth album Mirage, due out September 10th. The album features a bunch of exciting collaborations from the likes of Christian Burns (BBMak), Nadia Ali, BT, Ferry Corsten, Adam Young (Owl City) and of course Ms. Ellis-Bextor. The video, which was filmed in beautiful Ibiza features lots of pretty scenery, lots of Sophie laying out by the pool, having fun on a yacht as well as some cool club footage with van Buuren spinning up a storm. Very David Guetta-esque...but what are you going to do? I guess you have to feature the DJ somewhere in the video. As excited as I am for van Buuren's album this really only just makes me more anxious to hear new solo material from Sophie Ellis-Bextor. According to Ellis-Bextor, Straight To The Heart will be out in October. 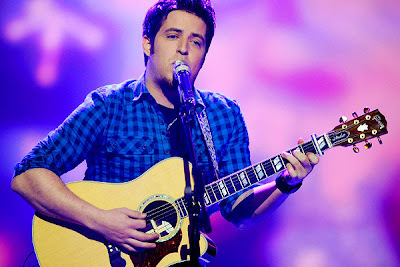 Looks like last year's American Idol winner Lee DeWyze will be dropping his major label debut (as of yet untitled) album on November 16th. The 19 Recordings/RCA Records recording artist is American Idol's more soft-spoken, shy, humble version of Chris Daughtry and while I was rooting for Mama Sox all season long, hearing Lee's debut is definitely something I'm looking forward to. I'm hoping for a similar sound maybe to that of label-mate Ray LaMontagne, but I really don't know what to expect from his debut. I guess we'll have to wait and see! DeWyze, who's currently in the midst of his American Idol Live Tour, hails from my hometown of Chicago so there was definitely a part of me that was proud to see another talented artist come out of The Windy City. In addition to touring with Crystal Bowersox and fellow Idol contestants, DeWyze has been busy writing and recording for his debut. "I've been very fortunate to be able to collaborate with some amazing songwriters on new songs over the past three months," Lee said in a statement. I can't wait for everyone to hear my debut album."